A traitor helps a rival house in its attempt to capture the planet. The ruling family fights back and all but one are captured. Steg de Coeur, directed by The Glass Complex, an ancient and self-aware computer complex, flees the planet. He gradually learns of his ability to communicate with computers, friendly, hostile, or alien. 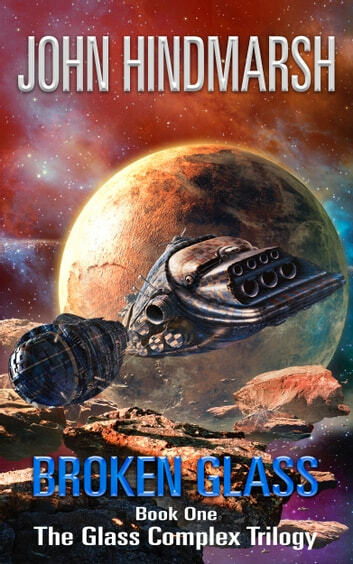 The Glass Complex is a series of action-packed adventures in space. 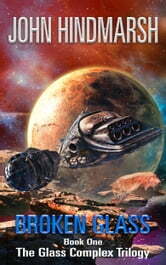 If you like interspecies intrigue, military sci-fi, and a touch of fantasy, then you'll love this intergalactic space opera. Read Broken Glass, the first book in this series. I enjoyed the story, it kept my interest with character interaction. Swordplay, military and digital protocols and a touch of intrigue kept my interest in this pleasure reader so much that I bought the rest of the trilogy before completing this number one. Mach schau! Having read space opera by Campbell and Bujold, I am probably spoiled. All trials are solved far too easily by Steg de Coeur, and there never was a situation that couldn't be solved with a little bit of deus ex machina (a very convenient force/person coming out of nowhere - that steps in precisely at the right time). I won't be reading the next installment. I would class myself as a former sci-fi reader - this is the first I have read for some years. The story moves at a good pace throughout, and explores some seriously current issues in an imaginative way. I'm about to buy the other two in the trilogy! The opening of this book was very promising but gradually degenerated until it was almost insulting to me as a reader. Most science fiction tries to incorporate believable science. Uh-uh, not here. Most fiction attempts to present at least one character with some depth. Nope, not here. And nobody has the gall to include willing female slaves as a positive element. Except here. Hindmarsh's main character is callous and can do anything, including disarming entire fleets of advanced warships between lunch and dinner without leaving his armchair. And has the emotional range of a robot. Not to mention how incredibly stupid he is at the end of the book. (The same result could have occurred by giving the "bad" character some semblance of intelligence and cunning. It's called character development.) He's sort of a cross between James Bond and Luke Skywalker but without any of the character traits except Bond's callousness and with interstellar communications abilities that defy plausibility within the universe of the book (or ours). The writing style is rigid and relentless, although Hindmarsh does demonstrate excellent craft from time to time. Those moments of brilliance are the reason for the second star in my rating. I forced myself to finish this book, but I am not at all curious to find out what happens next. I wouldn't read the next book even if it were given to me, and this one is going into the archive.